We are open to licensing and joint-venture opportunities in selected countries around the world. Currently we are looking for quality distributors for UK and Ireland. 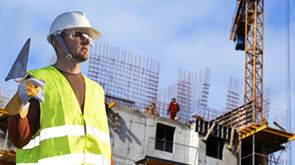 We are international company operating in construction industry offering innovative solutions and supplying the premium products such as KRACK-TITE non-explosive demolition agent, WATER-TITE waterproof mortar, ROAD-TEX soil stabilization agent and FLOOR-TITE SEALER which is all in one sealer for surface impregnation. Welcome to our website. Browse it to find out more about us, the products and services we offer. WATER-TITE, off-white powder is the perfect product to make waterproof concrete and also waterproof mortar. It is simple to use, easy to mix, very efficient and economical. Basically just add it to cement, sand and water to produce really waterproof concrete. If you need tough roads, you can use ROAD-TEX soil stabilization agent. It has excellent bonding properties and glues the particles in the surface together. 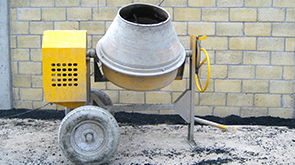 We provide ROAD-TEX as powder form and its primary usage is road stabilization and dust suppression on dirt roads. 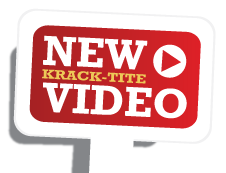 For non-explosive demolition, expecially for concrete demolition you can use our KRACK-TITE. Most people associate KRACK-TITE, non-explosive demolition agent as a product primarily to remove rock and for concrete demolition and it is indeed very successful for these purposes. However, KRACK-TITE is also an excellent product for use in the Mining and Slab Cutting Industries such as granite, marble etc. for absolutely silent demolition. Ideal product for impregnation, sealing and hardening of concrete, masonry, brickwork and block paving is our FLOOR-TITE SEALER. It is a non-degrading solvent based, acrylic clear sealer and its low viscosity ensures rapid penetration into porous substrates. Our products can be supplied to any part of the world and our main focus is Africa and the Middle East. Azul Holdings is United Arab Emirates based international company offering diverse and innovative solutions with our experience and knowledge of worldwide construction products and applications. Our business model is creating, establishing and expanding business with like-minded entrepreneurial businesses and people throughout the world. We aim to offer excellent profitable product solutions for all our clients.